Carpets are available in various colors and materials to give homeowners a variety of options. However, carpeting can be quite expensive and many people do not have the extra money to purchase new carpeting. Therefore, when areas of your carpeting become darkened by stains, you are left to deal with the unsightly spots. Fortunately, a variety of common and inexpensive household items can help lighten your carpet and hide the dark spots. Bleach can change the color of fabrics, fibers and carpets. Don a pair of rubber gloves and open doors and windows to vent the bleach fumes. Fill a bucket with 1 gallon warm water. 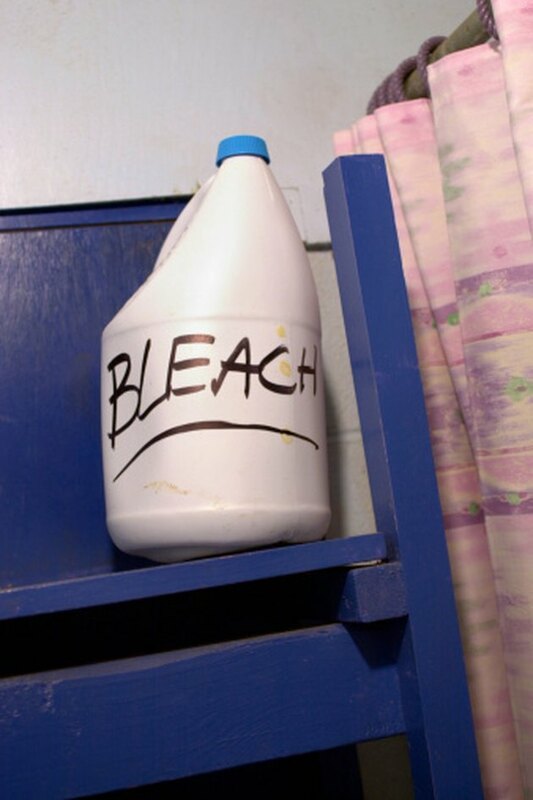 Add 1 cup chlorine bleach and mix thoroughly with a spoon. Increase the amount of bleach for a more dramatic lightening effect. Pour the mixture into a spray bottle. Saturate the area of the carpet you want lightened with the bleach mixture. Scrub the mixture into the carpet fibers with a scrub brush. Continue applying the mixture and scrubbing until the carpet is thoroughly saturated. Let the bleach mixture sit on the carpet until you have achieved the desired effect. Dampen a clean white cloth with sodium thiosulfate and immediately blot the bleach off the carpet. The sodium thiosulfate will neutralize and stop the bleaching process. Some brands of sodium thiosulfate come in powdered form; mix it with water before use according to the package directions.